"Brat, what do you think you're doing?" The leading guard looked at Zhao Feng in disdain. Although he couldn't see through Zhao Feng, how strong could this human be if he hung out with the Green Jade Sheep Race? "Twenty!?" Zhao Feng roared in a deep tone as his expression changed, and a strong surge of eye-bloodline power shot out from his left eye as he looked at this guard. The guard's soul instantly felt lightning and thunder boom across his soul. The terrifying pressure almost made him faint. The other guards nearby felt that something was wrong and instantly released their powerful auras, but in the next instant, a dark yellow flash of lightning glittered from Zhao Feng's body and released a terrifying physical force. The eight guards and everyone behind Zhao Feng instantly became unable to move. "Could this be a Divine Body!?" Apart from the Green Jade Sheep Race trio, everyone else tried to struggle against Zhao Feng's physical force. It was as if Zhao Feng only needed one thought to make them fall to the ground. "True G.o.d…! My Lord, forgive us!" The big guard's expression turned to shock as he immediately started to beg. From his perspective, it was very likely that this person was a True G.o.d, and behind a True G.o.d was definitely a four-star power at the least. Even the Blue-Eyed Ice Wolf Race wouldn't want to offend a four-star power for no reason, and he was just a normal member of the Blue-Eyed Ice Wolf Race. "Ten substandard G.o.d Crystals for a day!" the guard immediately said. "Ten?" Zhao Feng repeated in a questioning tone. "No… no! One is fine!" the guard gritted his teeth and immediately said. "Quickly take us through the procedure!" Zhao Feng took out four substandard G.o.d Crystals and said. "Yes, yes!" The bulky guard immediately nodded his head, and the others in line also held their breaths. The Exchange Spiritual Hall forbade fighting, but they technically hadn't entered yet, and no one would care if this True G.o.d senior killed them. Zhao Feng and company entered the Exchange Spiritual Hall after obtaining four tokens. The Exchange Spiritual Hall seemed like a different place from the outside world. The Heaven Earth Yuan Qi here was extremely thick, and it could even be considered a sacred land of cultivation. Experts of all races moved through the air. There were small flying machines and spiritual pets as well. Many weird structures could be seen. Some were big and magnificent while others were mysterious and elegant. There were also areas with small stores. As long as outsiders handed over a certain fee, they would be able to open a stand as well. "So many people!" Liu Yun revealed a pure smile. "This is the messaging token of the Blazing Fire Golden Sheep Race. Find me after you're done." Zhao Feng gave Yu Lin'er a golden-red token. True G.o.d Sky Fire had given this to Zhao Feng in order for easier interaction. "Thank you, Senior Zhao!" Yu Lin'er took the token and disappeared into the crowd with Uncle Qing and Liu Yun. Everyone had different needs. Zhao Feng needed to do his own thing, so he had to part ways with the Green Jade Sheep Race for now. Right at this moment, discussion broke out near the entrance where Zhao Feng came in. "Isn't that Xi Feng? The disciple of the Sky Feather Island Lord!" "It really is Xi Feng! I didn't think that he would come here!" Many experts looked at the entrance. A handsome male with pale-white skin and an arrogant expression slowly walked into the Exchange Spiritual Hall amidst the kneeling and bowing of nearby guards. "Xi Feng, a disciple of the Sky Feather Island Lord. Although he's only a DemiG.o.d, he has the battle power of a Rank One True G.o.d. Apparently, he is purposely suppressing his cultivation in order to become to a stronger G.o.d!" "Geniuses are indeed different. People like us who have reached the peak stages of the Mystic Light Realm can't progress any further and have to try and break through no matter what!" The appearance of Xi Feng raised the attention of all the nearby experts and caused them to talk to each another. The Sky Feather Island Lord was the ruler of the entire Sky Feather Island, so his disciple Xi Feng obviously gained much attention. Zhao Feng's gaze also landed on Xi Feng. The latter was indeed not simple, to have the strength of a Rank One True G.o.d while having the cultivation of a DemiG.o.d. "This is just Sky Feather Island. Who knows how strong the prodigies of other forces that rule Blue Ocean Bay are? Not to mention the rest of the Ancient Desolate Realm of G.o.ds." Zhao Feng looked forward to the large Ancient Desolate Realm of G.o.ds. One had to know that there were several dozen places similar to Sky Feather Island within Blue Ocean Bay alone, and according to the Black Destruction Serpent Dragon, Blue Ocean Bay was just a small corner in the Gulong Zone. "There will be one day when I will fight against the geniuses outside Sky Feather Island!" Zhao Feng said gently as battle-intent filled him. Of course, Zhao Feng wanted to see the descendants of the Eight Great G.o.d Eyes or even the Eight Great G.o.d Eyes themselves the most, but Zhao Feng hadn't obtained any information regarding the Eight Great G.o.d Eyes even after such a long time. Geniuses that had a bloodline from the Eight Great G.o.d Eyes wouldn't appear in such a remote place in the Ancient Desolate Realm of G.o.ds. "Hehehe, ignorant!" Xi Feng heard what Zhao Feng said on the way and shook his head with a laugh. He could easily crush a measly late-stage Mystic Light Realm expert, but this person said that he wanted to fight against the geniuses from the outside world? When one mentioned the true geniuses of the Ancient Desolate Realm of G.o.ds, even Xi Feng was filled with respect. According to what his master - the Sky Feather Island Lord - said, the prodigies of peak four-star forces or even five-star forces in the Gulong Zone had the battle-power of a Rank Three True G.o.d when they were a DemiG.o.d and were destined to become a Rank Three True G.o.d or even higher when they broke through. Zhao Feng didn't bother with what Xi Feng said and moved into the Exchange Spiritual Hall. "The Dingsheng Auction Hall?" Zhao Feng's footsteps paused for a slight moment when he saw a large auction hall. He had originally been planning to trade some resources he didn't need for some he did need, but he suddenly remembered that there was no point in keeping the three substandard G.o.d weapons he looted from the three Elders of the Black-Tongued Lizard Race. If he took them to the auction, they might be able to go for a good price. After all, most of the people in the Exchange Spiritual Hall were between the early stages and peak stages of the Mystic Light Realm. DemiG.o.ds could be occasionally seen as well, while True G.o.ds were extremely rare. Thus, Substandard G.o.d weapons should go for a decent price. Furthermore, the items and resources Zhao Feng needed now were extremely valuable, so it was hard to find what he wanted in the shops. The auction hall might be a good choice for that too. Zhao Feng walked directly into this auction hall. "This guest, may I ask if you are selling or buying?" a pretty maid at the entrance said. "Selling!" Zhao Feng said. The maid then led Zhao Feng into a secret hall. "Guest, please take out what you are selling, and I will have a look at it!" An elder with dark blue eyes gave off cold air as he said with a faint smile. The auction obviously needed to confirm whether their items were real or fake, and they also needed to determine whether the value of the items was worthwhile to the auction. Zhao Feng opened his hand, and three differently-shaped substandard G.o.d weapons appeared! "Three substandard G.o.d weapons!" The elder's eyes lit up. Someone that could take out three substandard G.o.d weapons at once was definitely not simple. After all, substandard G.o.d weapons were extremely precious even to four-star powers. The elder suggested to sell these three substandard G.o.d Crystals separately in order to maximize the profit. "Sell these items as well!" Zhao Feng thought for a moment before deciding to auction off the rest of the resources within his interspatial dimension that he didn't need. Many of these were resources that Zhao Feng had duplicated too many of in the past, some came from the spoils of war from the Black-Tongued Lizard Race, and some came from the payment that True G.o.d Sky Fire gave him. These resources were too low-level for him, and even the Black Destruction Serpent Dragon didn't want them. "So many…!" The elder's expression turned to surprise and joy. These resources were very useful to those at the late stages of the Mystic Light Realm. Although not overly precious, the amount was shocking. "Guest, don't worry. Because you are selling so many important items at once, you can directly enter this auction, and the Dingsheng Auction will definitely sell everything for a good price that satisfies you!" the blue-eyed elder said with a warm smile. The blue-eyed elder then took out a message token after sending Zhao Feng away with his eyes. "Keep an eye on that person. He's only at the late stages of the Mystic Light Realm, but his wealth is at least on par with a True G.o.d!" The blue-eyed elder revealed a cunning smile. The auction was crowded with people, so Zhao Feng paid a high price to enter a VIP room. The auction soon started, but since the items were too low-rank, Zhao Feng didn't bother at all and started to just cultivate within the room. The auction kept progressing. Even if two forces hated one another because of the auction, they wouldn't attack each other in the Exchange Spiritual Hall. Some of the ancient resources that Zhao Feng were selling came up. Zhao Feng's huge amount of resources was split into several different tiers since that would increase the price. "Five hundred substandard G.o.d Crystals!" a cold voice sounded from the room next to Zhao Feng. "Six hundred substandard G.o.d Crystals!" A DemiG.o.d with fiery-red thick skin immediately called out. "Isn't that DemiG.o.d Chen Yuhai from the Scarlet Sun Race?" Some people recognized Chen Yuhai's ident.i.ty. The Scarlet Sun Race was one of the stronger four-star forces in the area. "Hmph, you don't know what's good for you, do you!? Seven hundred substandard G.o.d Crystals!" a slightly angry voice sounded from the room next to Zhao Feng. "The disciple of the Sky Feather Island Lord!" This time, some of the people recognized Xi Feng's voice, and Chen Yuhai instantly revealed a fearful expression. "Young Sir Xi Feng, this one didn't know that you also needed these resources. I will give you one hundred substandard G.o.d Crystals later personally!" Chen Yuhai apologized. After Xi Feng exposed his ident.i.ty, no one else competed against him. Xi Feng then bought a portion of Zhao Feng's resources with a price of seven hundred substandard G.o.d Crystals. What Zhao Feng didn't expect was that even more of his items were bought by Xi Feng at a very low price. The remaining items all exceeded Zhao Feng's expectations and were bought by many experts. "What we are selling next is a Golden Yuan Stone. This stone contains a very pure Metal-elemental power, and it's a necessity for creating G.o.d Crystals. Furthermore, this Golden Yuan Stone is of an extremely high grade…." Zhao Feng finally opened his eyes. Something he needed finally appeared. "The Golden Yuan Stone's starting price is five hundred substandard G.o.d Crystals. Let the auction start!" the host of the auction said. "One thousand substandard G.o.d Crystals!" Zhao Feng, who was in the room next to Xi Feng, instantly said after the host finished speaking. "So rich! An increase of five hundred substandard G.o.d Crystals at once!" "Hmph, this Golden Yuan Stone is extremely big, so it's worth that price!" Some of the people within the auction discussed. "Eleven hundred substandard G.o.d Crystals!" A blacksmith master thought for a moment before speaking. "Two thousand substandard G.o.d Crystals!" an emotionless voice sounded from the room next to Xi Feng. This time, the entire auction became dead-silent. Zhao Feng was just too crazy; he first raised the price to one thousand substandard G.o.d Crystals right away, then made it two thousand substandard G.o.d Crystals on his next bid. Some people even wondered whether he would raise the price to three thousand if someone else joined in. You're Read King of Gods Chapter 1154 Xi Feng online. If you find any errors or translatation mistakes, please let us know so we can fix that as soon as possible. 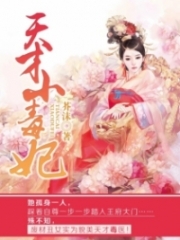 You're reading King of Gods by Author(s): Fast Food Resturant,快餐店. 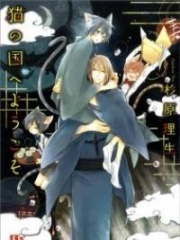 This novel has been translated and updated at LightNovelsOnl.com and has already 3069 views. And it would be great if you choose to read and follow your favorite novel on our website. We promise you that we'll bring you the latest novels, a novel list updates everyday and free. LightNovelsOnl.com is a very smart website for reading novels online, friendly on mobile. If you have any questions, please do not hesitate to contact us at [email protected] or just simply leave your comment so we'll know how to make you happy. Current Time is 18-Apr-2019 16:24:54 PM.